Explore Quito on your own to discover the hidden gems this city has to offer. Feel the vibe of both the modern and historical towns whilst pedalling around different neighbourhoods, parks, gardens and markets. 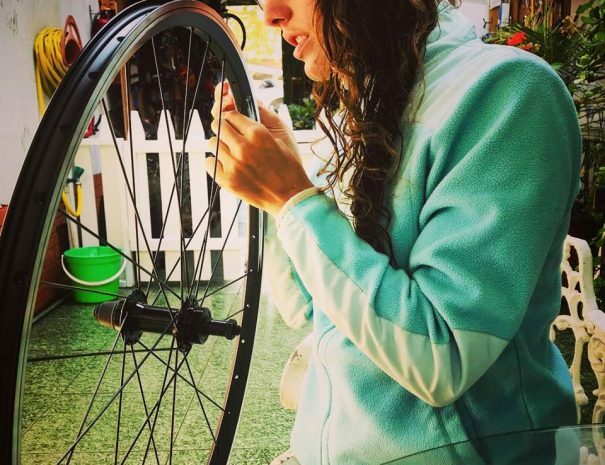 The bicycles have been custom built by us providing you with the best components and industry safety standards. 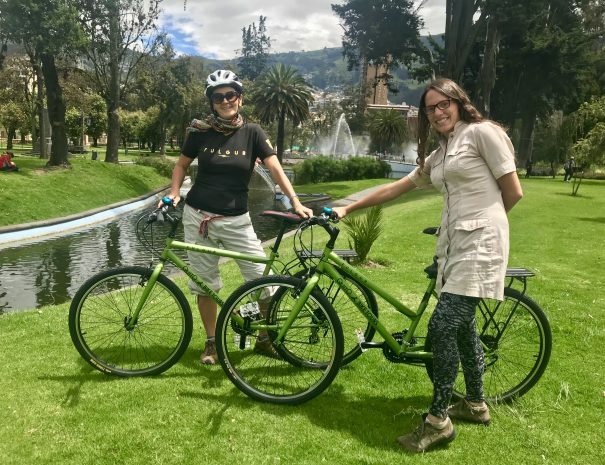 Quito Bike Rentals ... Ride On! Come take one for a spin. 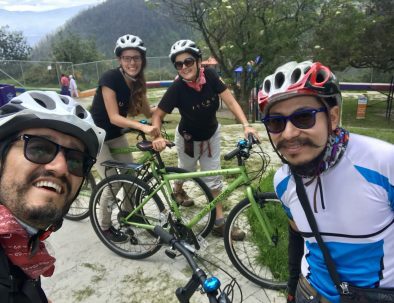 International certified helmet - Keeps you protected whilst on the road - Strong, durable, safe - Keeps you cool under Quito's sunny skies - Looks good ... well we think so! Explore on your own or go with friends - Nothing beats the experience of cruising a city on a bike in your own time. - There are many places to visit in Quito; parks, museums, markets and much, much more. Does this look like fun? Rent your bike today! and we will get back to you as soon as posible. You can either book online or visit/call our store for availability. Then it's as simple as coming to our store and picking up your bike. Voilá! Book online – COMING SOON! Fill Form, Visit or Call us! 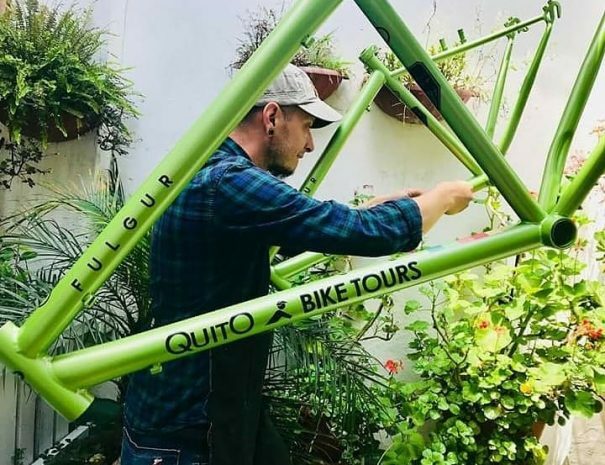 Quito Bike Tours have put a lot of love and special touches into these bikes so that you can ride in comfort and style! 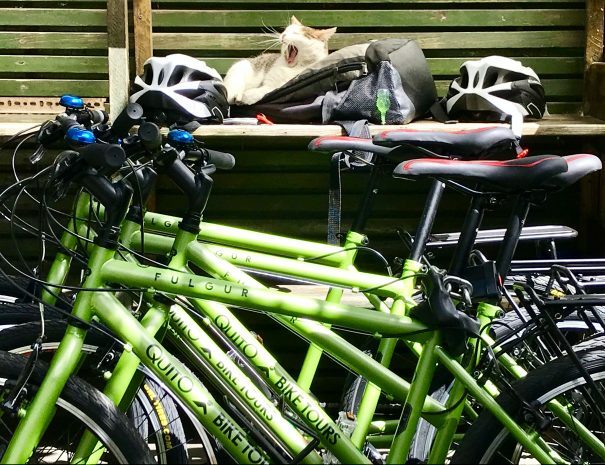 So ... please love and look after your bike as much as we do. Enjoy the ride! 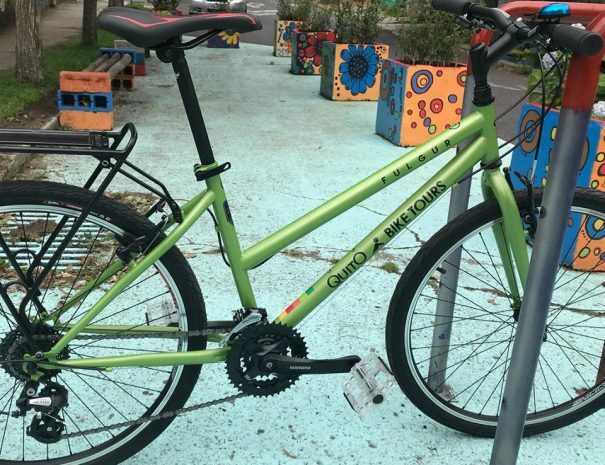 – Stolen Bike If your bike is stolen please obtain a Police Report and give it to QBT. Your deposit will then be debited and credited to QBT. – Late returns You will be charged according to what time your bike is returned, and the extra amount will be debited from your deposit. A $20.00 dollar fee will be applied if the bike is not returned time. – Misplaced or lost accessories The loss of accessories will be charged at the following rates: lock $5.00, lock chain $35.00, helmet $35.00, lights $10.00. – Cancellations Fees Cancellations and credit card fees apply. > 100% refund if you cancel at least 48 hours before the starting time of your rental time. > NO REFUND for cancellations less than 48 hours before the start of your rental time. NOTE: All refunds will incur a 7% processing fee of the total amount of your rental. “Amazing bikes, great and personalised service. I can not thank you enough for your customer care and for providing the best possible gear. Recommended." Choose from our comprehensive list of guided, sightseeing, and family-oriented Quito packages. We also offer group and corporate rates! This is the city’s ‘True North’. Let us show you a blend of Modern Quito, Parks, Botanical Gardens, Local Food and Life, Markets and Culture. Ride with us! 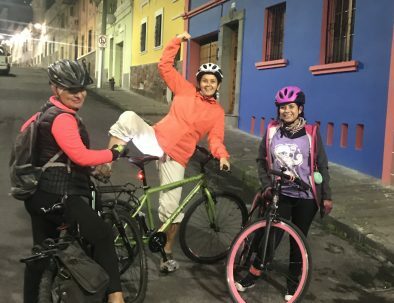 Cycling Colonial Quito by Night – Soon! 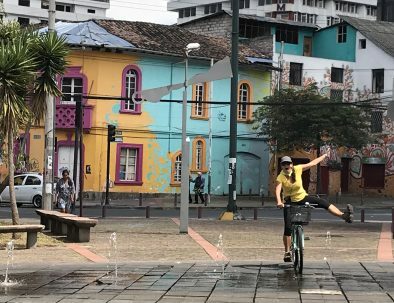 Visit South America’s best preserved historical city centre by bike. Experience churches, culture and history under the luminescence of a breathtaking city.